The Leaflet is a newsletter for horticulturists. It is published three times per year. To subscribe to this publication please email Jessie Hoover at jhoover@agcenter.lsu.edu. Foxgloves are a lovely cool season bedding plant with tall, ornate, colorful blooms. 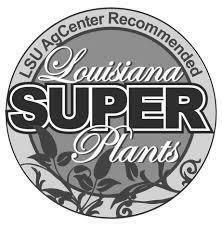 The Camelot variety is an LSU AgCenter Super Plant and is tested and proven to perform well in our climate. 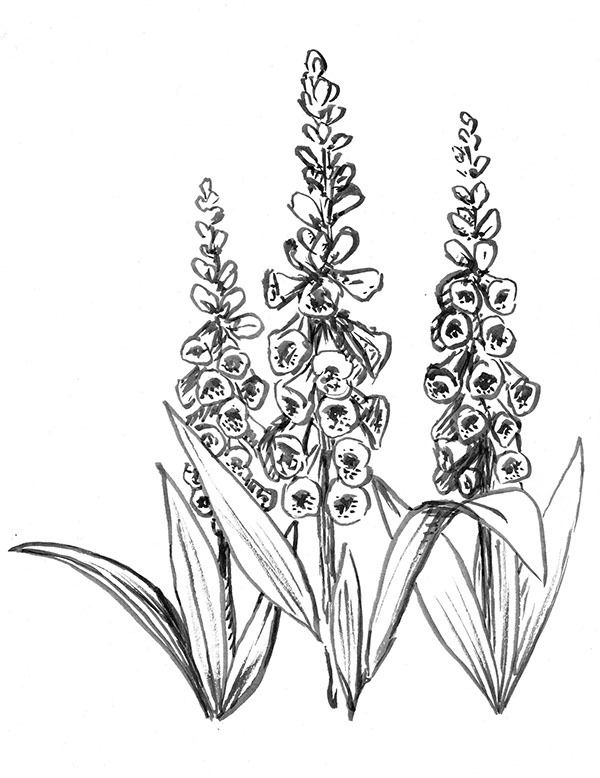 Foxgloves are considered a cool season bedding plant which means they bloom in the early spring and die out when the weather gets hot. For best results, plant transplants in October or November in a bed amended with organic matter or compost. Fertilize them lightly at planting and again in the spring. They do well in full sun or part shade. Planting young, healthy plants in the fall will ensure a big, beautiful display in the spring. Camelot foxgloves will grow to around 36” tall and 12” wide. The Camelot variety is especially popular because the flowers hang more horizontal than other varieties, allowing its speckled center to be seen. If you can afford to purchase one gallon container plants you will get a light bloom in the fall followed by a spectacular showing in the spring. - Dig a hole twice as wide as the root ball and no deeper than the root ball is high. - Remove the plant from the container and inspect the roots.If the roots are circling around the root ball unwrap the roots or cut them so they will grow straight. -If you have a balled-and-burlapped tree, remove any nails, wire, or string and place the tree in the hole. Fold the burlap down. -The top of the root ball should be level with the ground. Do not plant the tree too deep! -Thoroughly chop up the soil removed from the hole and begin to fill in the hole with the original soil. Do not add anything to the original soil.Firm the soil as it is added. Water the plant in after completely filling the hole. -Do not fertilize trees or shrubs in the fall. The new growth it produces may not harden off in time for winter. -Stake the tree if it is too tall to be stable; otherwise it is not necessary. -Mulch around the tree/shrub with 2-4 inches of mulch. Pull back mulch from the base of the trunk. By now, many south Louisiana spring and summer gardens have played out. A few folks may still be harvesting okra or planting tomatoes for a fall crop. If you want to plant any leafy, cole, or root crops in the fall, you need to start preparing now. First, plan out your garden on paper. What do you have space for? What do you want to plant? Will you direct seed or plant transplants? Go ahead and buy your seed and start any transplants in August. Make sure you are stocked up on mulch and fertilizer. Pick up a copy of the Louisiana Vegetable Planting Guide from your LSU AgCenter office. This guide will help you plan your garden year around. It contains planting dates, varieties, planting depth, spacing, and fertilizer recommendations for a variety of crops that do well in Louisiana. Kill any weeds left over from your spring garden and begin to till up your soil in August or early September. Amend the soil with any fertilizer and compost needed. Mustard greens, turnips, collards, carrots, and radishes are best grown by direct seeding. Plant them shallow, no more than 1/8th inch deep. Beets are also grown by direct seeding but should be planted roughly 1/4th inch deep. Broccoli, cauliflower, swiss chard, lettuce, brussels sprouts, and cabbage are best grown by planting transplants. Grow transplants yourself from seed or purchase them from your local garden center. Grow garlic, shallots, and leeks by planting started sets or bulbs.